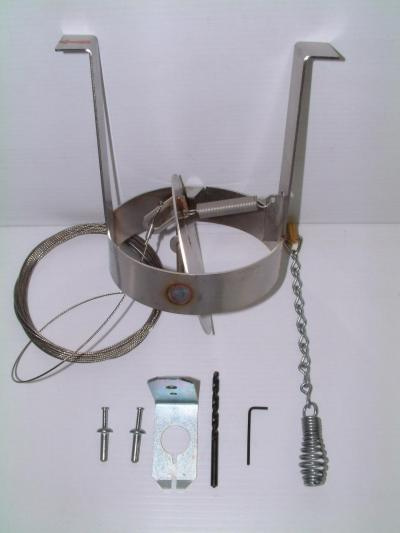 These drop in dampers are ideal for any round "air-cooled" or "solid packed" chimney, round clay flue, rigid or flexible chimney liner setup where a damper is needed. These drop in from th top and are spring loaded and controled by a cable that runs through the flue to the firebox. These are constructed of 316 alloy stainless steel and carry a manufacturers lifetime warranty.